The Colony Eclipse 24 has had my attention ever since Colony dropped a sneak peek of it earlier this year. Once I got a chance to get a closer look at the specs, my interest was piqued further. This was a nice looking bike…and one of the better equipped completes on the market! That being said, every rider likes to customize their bike a bit, no matter how good it comes stock, to make it “their own”. Will C. did just that, customizing his Colony Eclipse 24 to make it just the way he wanted, with no compromises. The end result looks pretty sweet! 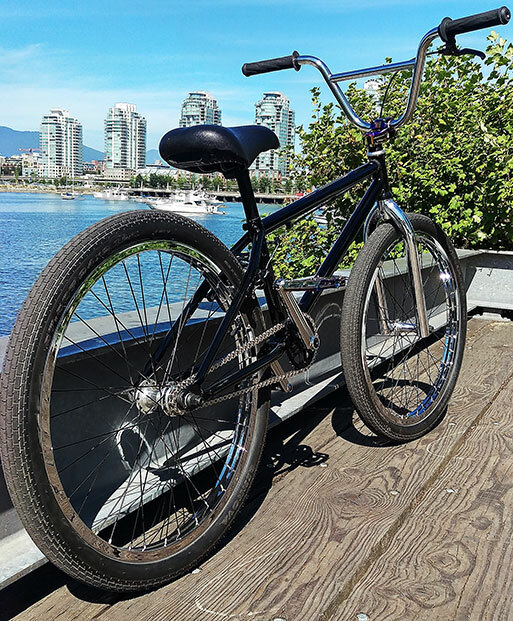 According to Will, the bike “rides great – super smooth and solid” and still “under 25 lbs” with the mods. 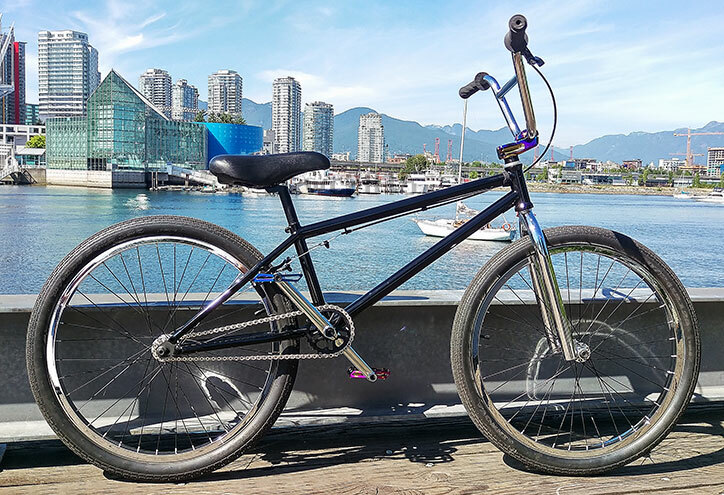 Looking forward to seeing more 24″ Colony bikes under riders’ feet in the future.